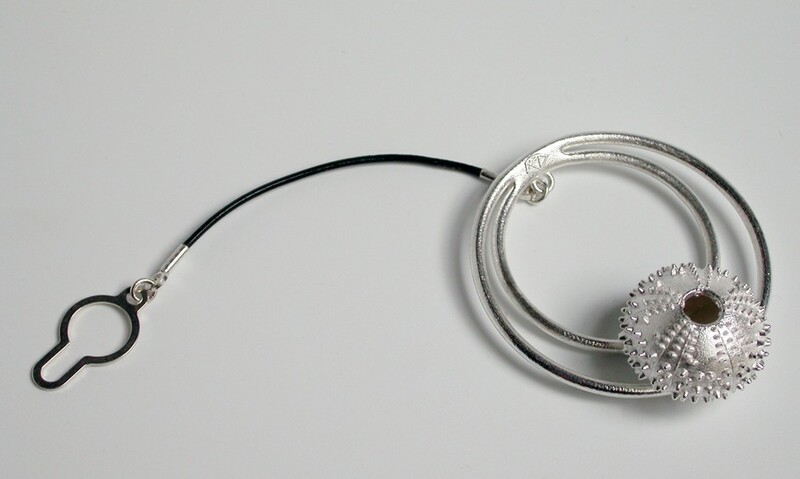 A customized jewel for Tim Hunt, biochemist and Nobel Prize winner, as a present as invited speaker at Rigi Workshop 2013. 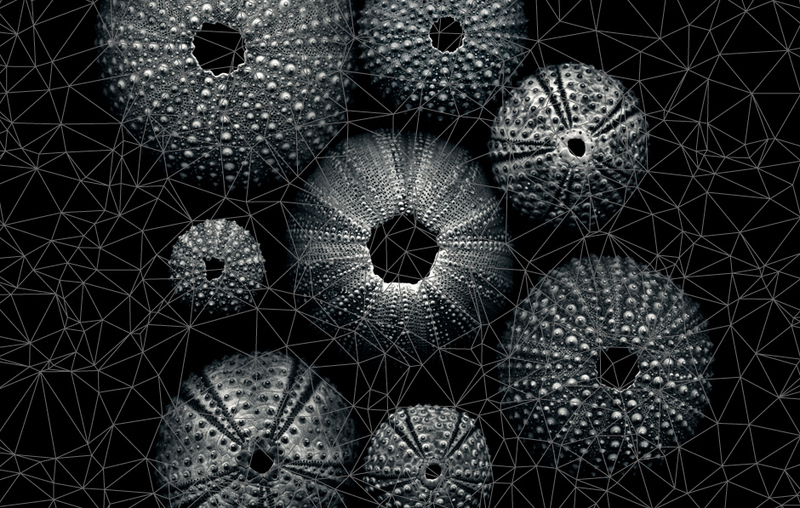 Inspirational photo: Sue Hammond 2013. 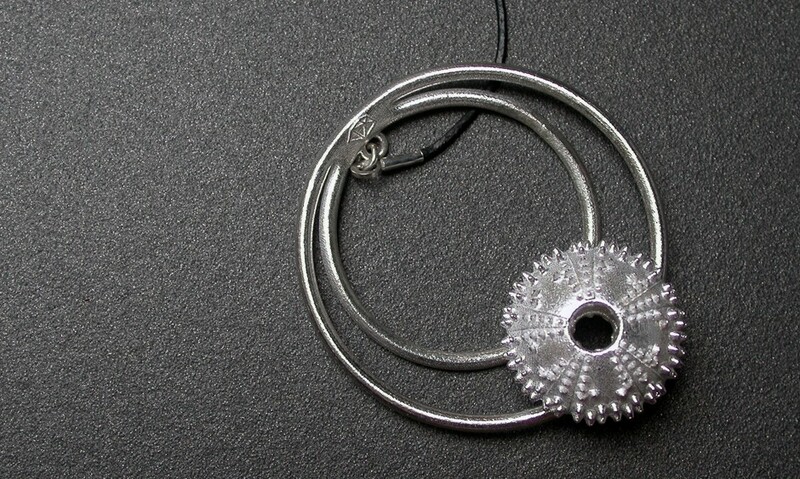 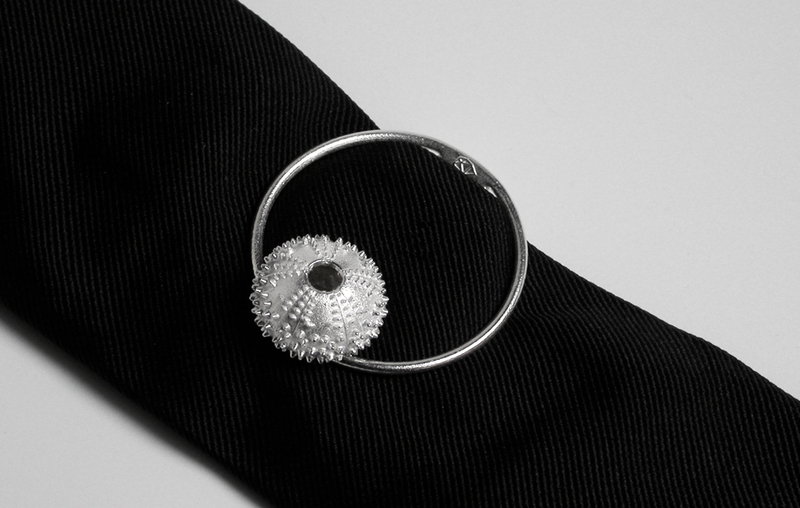 A customized jewel inspired on his research on the cell division of sea urchins, in particular, Arbacia punctulata, who described and named Lammarck in 1816. 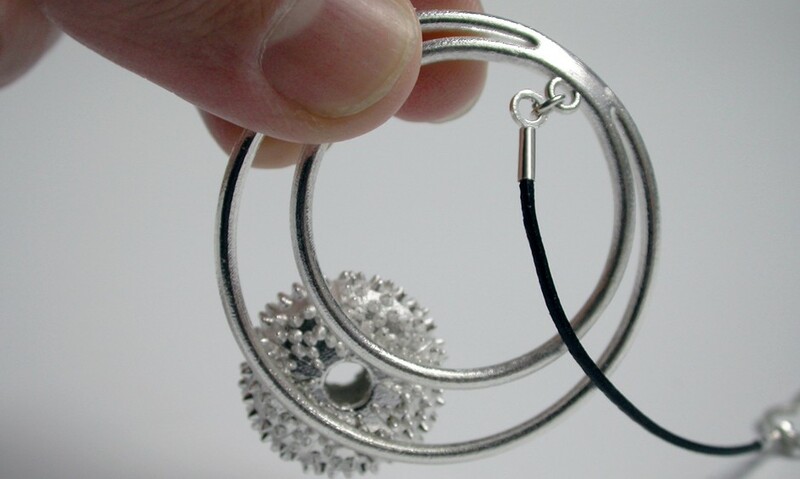 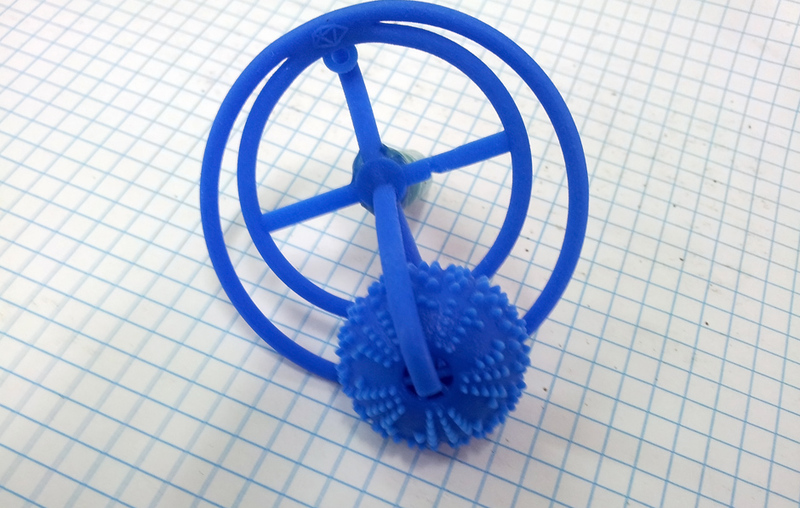 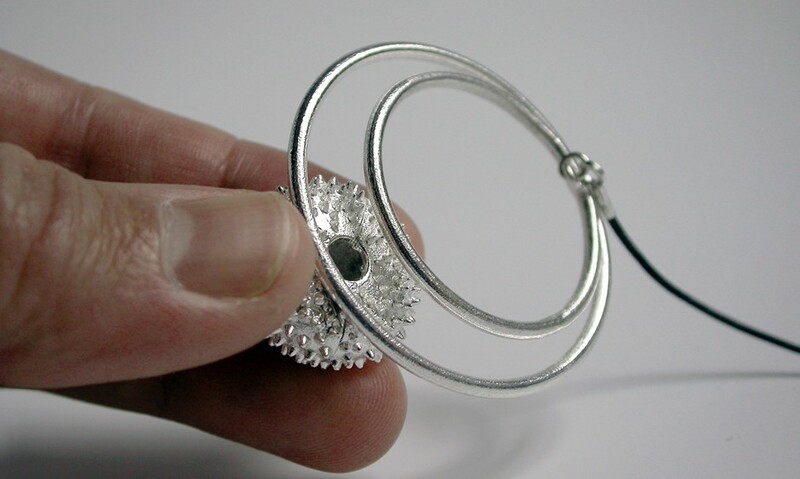 We thought in a tiepin jewel to apply the created sea urchin with all their minimum details like in nature, and at same time we develop a new clip system based on an outer circle to fix the sea urchin with an inner tangent circle. 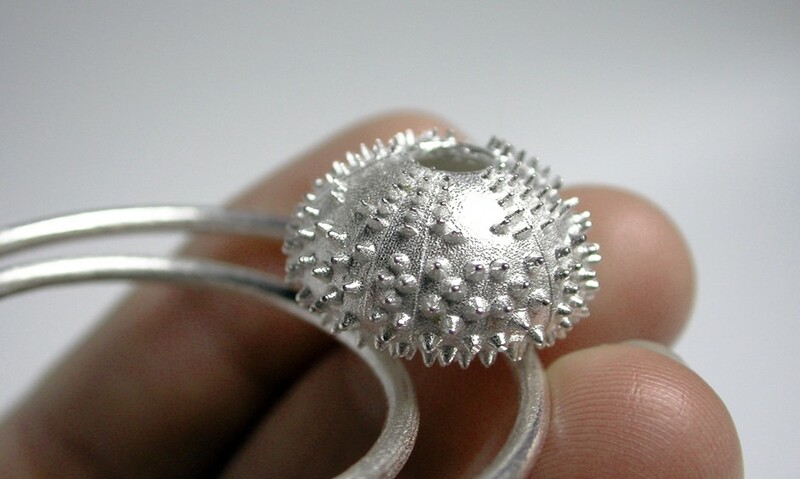 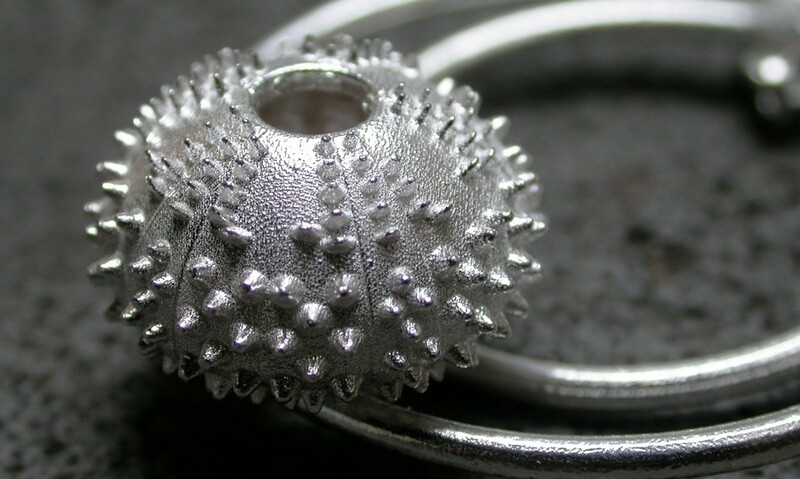 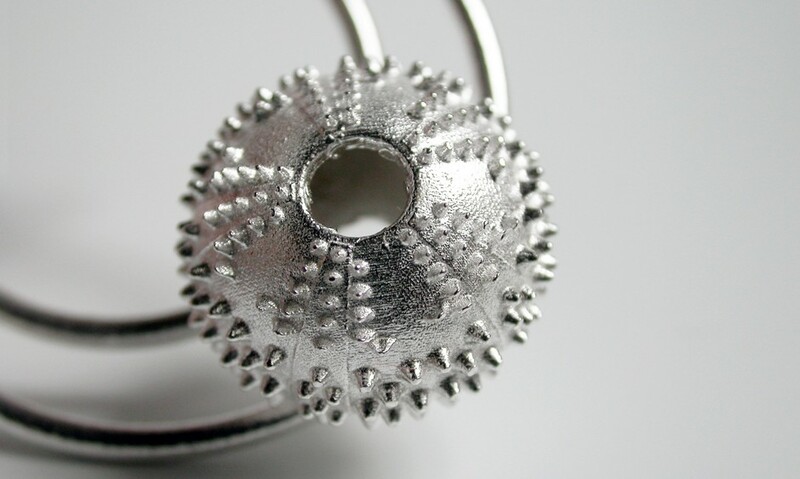 We explode the lost wax casting technique to reproduce exactly the 3D created details of sea urchin, before casting in silver. 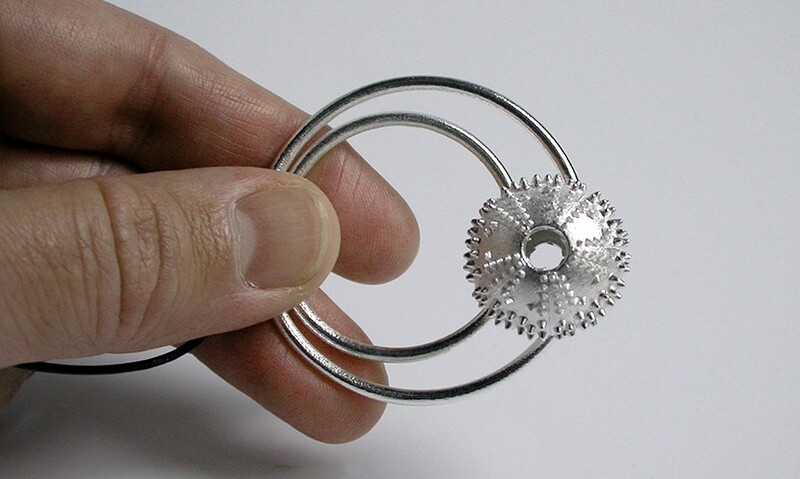 This process is suitable for us to get a great level of fidelity.